When it comes to effective hair restoration and treatments for balding, people in the New York, New Jersey, and Boston area can trust True & Dorin Medical Group. Our team offers follicular unit transplantation (FUT) and other surgical solutions for hair loss as well as guidance regarding many non-surgical options to address balding. Since FUT is a popular method for restoring missing hair, we want to take a moment to consider basic candidacy for the procedure. Some basics about follicular unit transplantation (FUT) first before we discuss candidacy. FUT is a hair restoration process that involves the transfer of follicular units from the back of the scalp (where hair is less likely to fall out) to the bald area of the scalp. When the grafts are healed, patients will have hair that grows naturally. These follicular grafts are staggered in order to produce the appearance of natural hair growth. Ideal candidates for follicular unit transplantation (FUT) are in overall good health and do not suffer from medical conditions that would make surgical procedures risky. Various kinds of hair loss can be treated through FUT, the most common of which is male pattern baldness. Hair loss that is the result of burns to the scalp, injuries and trauma to the scalp, and facial plastic surgery can also be addressed through FUT. The age of the patient is a critical factor to consider when it comes to follicular unit transplantation (FUT). 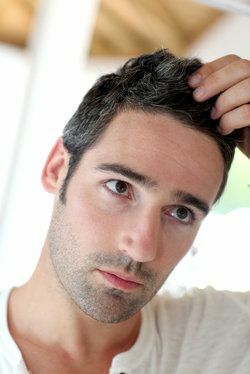 When men experience male pattern baldness, the hair loss will continue for years, usually into the late thirties. For this reason, FUT is not a good idea for younger men since they will still lose hair as they age. The thirties is an ideal time to get evaluated for FUT. During your consultation, the hair transplant surgeon will determine if additional waiting is in order or if the surgery can proceed. While hair restoration is usually not an ideal option for women given that female hair loss differs from male hair loss, follicular unit transplantation (FUT) can be performed on women. That said, it tends to be used to treat female hair loss that's the result of burns and trauma rather than female hair thinning. This is something that shouldn't be taken for granted. In order to the get the best results from surgery, it's important that patients understand both the risks and the benefits of follicular unit transplantation (FUT). This ensures realistic expectations and a more positive treatment experience overall. If you are not a good candidate for follicular unit transplantation (FUT), the team at True & Dorin Medical Group will be more than happy to go over treatment alternatives, including non-surgical treatment options. We will make sure that you understand all routes available to achieving a full head of hair. For more information about follicular unit transplantation (FUT) and how it can be of great benefit to you and your needs, be sure to contact our hair restoration specialists today. The team at True & Dorin Medical Group look forward to your visit and helping you have a full, healthy head of hair again.